Getting people to take action in some cases seems to virtually require the use of fear. 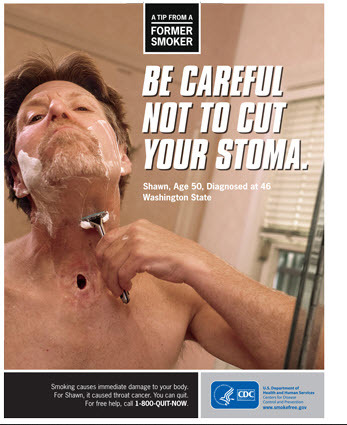 Public health issues like convincing people to wear seat belts or quit smoking come to mind. The U.S. Center for Disease Control uses fear to get people to take action. We’ll talk about the ethics in a second. First, we know that marketers use fear to motivate consumers to buy, donate or otherwise comply. How does fear work in marketing? If people feel that they are likely (high vulnerability) to be hurt badly (high severity) they will feel threatened. But is this enough to get them to take action? 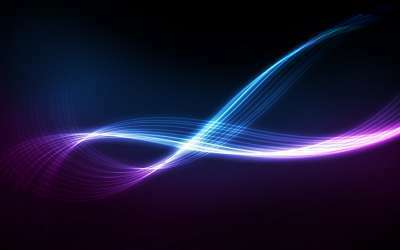 Research shows that there is a third element that plays an important role in a person deciding whether they will take action to avoid a threat. Listen up because this part is important. 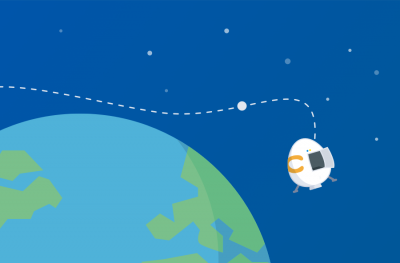 After all, it’s the action (purchase, donate, subscribe) that the marketer is after. 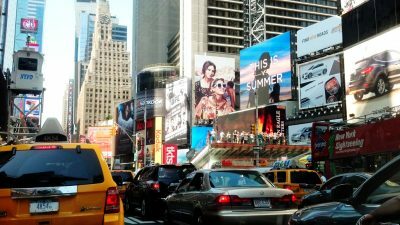 Let’s review before we take a look at some examples of fear in marketing and advertising. Let’s be clear, marketers will find it very difficult to manufacture a fear that doesn’t exist. The right approach is to point out a fear that already exists, empathize with that fear, and then remove the threat with your solution. Let’s take a look at a few examples of fear in marketing. 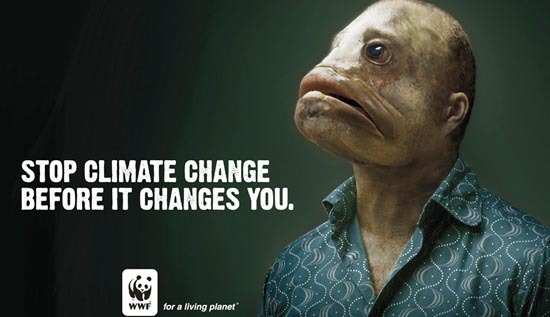 The World Wildlife Fund (WWF) is known for their clever ads which raise awareness about environmental issues. Most of their ads employ fear tactics to drive action. This ad about climate change feeds off the end-of-the-world fear people have in relation to climate change. WWF provides a solution in the form of the viewers’ action. 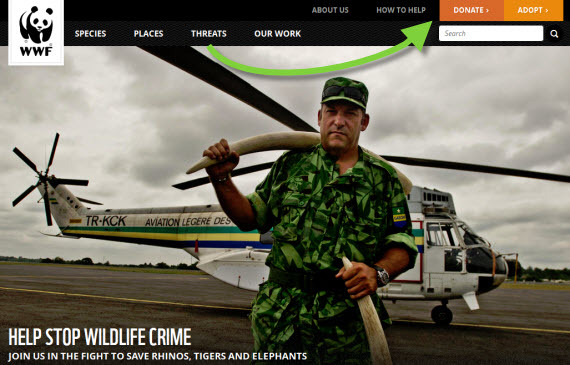 WWF also understands that they must prove the likelihood and severity of the threats as well as convince website visitors that they can reduce this threat. 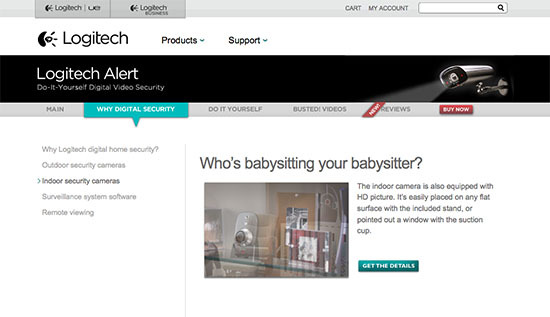 Logitech’s video security system website uses a great headline echoing a fear that parents have that their children are not safe. This simple question asks what many parents have already asked themselves – can they trust their babysitter? A headline like this shows the customer that they’re not alone in their fear. And this fear specifically relates to Logitech’s product – their home video security system. 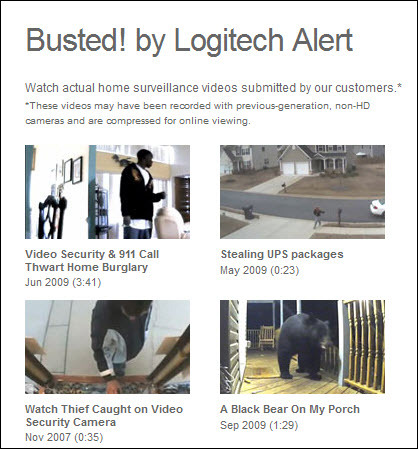 Logitech’s “Busted!” video campaign is intended to raise the likelihood and severity of the threat that there product can help you avert. These are videos submitted by customers showing the Logitech system hard at work, removing real threats. Another type of fear tactic involves soliciting a more emotional response. Emotional appeals have long been used by charity and relief organizations. Appeals like these often center around fear – fear that a child might die and fear that you’re not doing enough to make a difference in the world. Notice how a threat is created and the “You can help” call-to-action assures you that you can avert the threat. 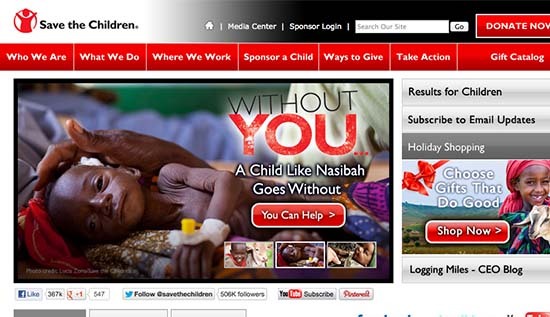 Without you, a child like Nasibah goes without. It’s commonly known that relief organizations like this one encounter life and death situations. 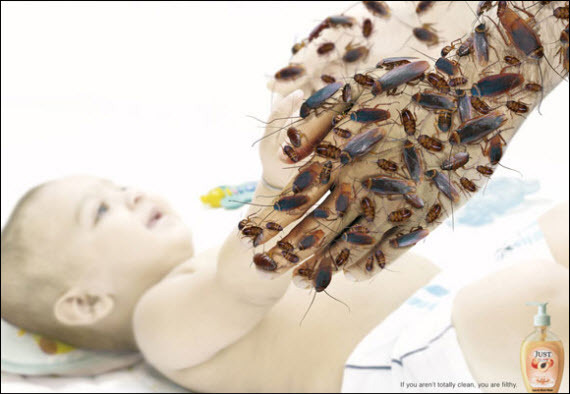 This advertisement highlights a fear that is already known and suggests that the viewer can provide the solution. Let’s not forget the most classic fear of all in marketing circles — the fear of missing out on a great deal. This “last chance” wording shows up time and again in Victoria’s Secret marketing messages. Their home page alone has three examples of this type of fear tactic. “Ends tomorrow!”, “today only!”, and “last day!” all appeal to the fear that you might miss out if you don’t act now. Making your sale offer for a limited time and telling your potential customers that time is running out is a good way to inspire immediate action. Just be sure it’s not over-used! There are many ways to inspire action. Fear is just one method — but a very effective one. For some products, services and causes fear may be the only way to market effectively. For others, fear is just one of many angles they could take with their marketing. Follow the formula discussed earlier: provide a solution to an existing fear — don’t try to manufacture fear. But understand that there is certainly a fine line between ethical and unethical use of fear in marketing. What about you? Do you feel this soap brand is using fear in an ethical and effective manner?